Forrest Gander is winner of the 2019 Pulitzer Prize for Poetry for his most recent collection, Be With. His numerous books of poetry, include Redstart: An Ecological Poetics and Science & Steepleflower:Poetry. Core Samples from the World was a finalist for the Pulitzer Prize and the National Book Critics Circle Award. Gander also writes novels and his most recent translations are Alice Iris Red Horse: Poems of Gozo Yoshimasu, Then Come Back: the Lost Neruda Poems and Fungus Skull Eye Wing: Selected Poems of Alfonso D'Aquino. Recent anthologies include Pinholes in the Night: Essential Poems from Latin America and Panic Cure: Poems from Spain for the 21st Century. His own work has been translated and published in France, Mexico, Chile, Spain, Bulgaria, Japan, China, Germany, Turkey, Italy, and the Netherlands. He is a United States Artists Rockefeller Fellow and has received fellowships from The National Endowment for the Arts and the Guggenheim, Whiting, and Howard Foundations. He has been awarded the Library of Congress Witter Bynner Fellowship and was the Briggs-Copeland poet at Harvard before becoming The Adele Kellenberg Seaver Professor of Literary Arts and Comparative Literature at Brown University. Sara Borjas is a 4th-generation Chicana, a pocha, and a Fresno poet. Her debut collection of poetry is forthcoming from Noemi Press in 2019. Sara earned a B.A. in English Literature from Fresno State and an M.F.A. in Creative Writing and Writing for Performative Arts from University of California, Riverside. She is currently a lecturer in the Department of Creative Writing at UC Riverside. Her poetry can be found in TinderBox, The Offing, Entropy, Queen Mob's Tea House, Cultural Weekly, The Acentos Review,and Luna Luna, amongst others. She is a 2017 CantoMundo Fellow, a 2016 Postgraduate Writers Conference Fellow at Vermont College of Fine Arts, and a 2013 Community of Writers Workshop at Squaw Valley Fellow. She is the recipient of the 2014 Blue Mesa Poetry Prize. Sara was also named runner-up for the 2010 Larry Levis Undergraduate Memorial Prize judged by Phillip Levine and thrice-nominated for a Pushcart Prize. She digs oldiez, astrophysics, aromatics, and tiny prints is about decentering whiteness. Lucinda Jarrett is a dancer, poet and playwright who creates ambitious collective performances written in partnership with vulnerable people facing serious illnesses. She has led residencies with the National Theatre Studio, directed Rosetta Requiem (2005) a song cycle developed in hospices across the UK with leading singer songwriters and featuring Billy Bragg, Jarvis Cocker, David Matthews and Roots Manuva. She directed The Song Rooms, a songmaking project for children in hospices (2007), wrote and produced The Magical Glow of the Co Op at Birmingham Rep written in partnership with people using St Marys Hospice Birmingham (2010) and most recently has co-written and co-produced Hospital Passion Play at The Victoria and Albert Museum (2017) composed by Orlando Gough. She has also led an online poetry project for World Hospice Day (2007) culminating in an anthology entitled Life Lines and a poetry performance at Tate Modern. She edited a collection of stories of arts and social change participation in palliative care entitled My Place at the Front of the Queue, Creative Engagement in Palliative Care (Radcliffe Press 2007). She is founder and director of Dream A Difference. Matthew Zapruder is the author of five collections of poetry, including Come On All You Ghosts, a New York Times Notable Book of the Year, and Father’s Day, forthcoming from Copper Canyon in Fall 2019, as well as Why Poetry, a book of prose. He co-translated, with historian Radu Ioanid, Romanian poet Eugen Jebeleanu’s final collection, Secret Weapon: Selected Late Poems. He has received a Guggenheim Fellowship, a William Carlos Williams Award, a May Sarton Award from the Academy of American Arts and Sciences, and a Lannan Foundation Residency Fellowship in Marfa, TX. His poetry has been adapted and performed at Carnegie Hall by Composer Gabriel Kahane and Brooklyn Rider, and was the libretto for Vespers for a New Dark Age, a piece by composer Missy Mazzoli commissioned by Carnegie Hall for the 2014 Ecstatic Music Festival, where it was performed by Mazzoli, along with Victoire and Wilco drummer Glenn Kotche. In 2000, he co-founded Verse Press, and is now editor at large at Wave Books, where he edits contemporary poetry, prose, and translations, including books by James Tate, Terrance Hayes, and the Pulitzer prize winning volume Olio, by Tyehimba Jess. He was the founding Director of the Bagley Wright Lecture Series. From 2016-7 he held the annually rotating position of Editor of the Poetry Column for the New York Times Magazine. He lives in the San Francisco Bay Area, where he is an Associate Professor at Saint Mary’s College of California. Marcelo Hernandez Castillo is the author of Cenzontle, winner of the A. Poulin, Jr. prize (BOA editions 2018), and a winner of the 2019 Great Lakes Colleges Association New Writers Award in poetry as well as a finalist for the Northern California Book Award, the Lambda Literary Award, the Publishing Triangle’s Thom Gunn Award for Gay poetry, and the Foreword INDIES Best book of the year award for 2018. Cenzontle also went on to be named a best book of the year by NPR and the New York Public Library His first chapbook, Dulce, was the winner of the Drinking Gourd Prize published by Northwestern University Press and his memoir, Children of the Land is forthcoming from Harper Collins in 2020. As one of the founders of the Undocupoets campaign, he is a recipient of the Barnes and Noble “Writers for Writers” Award. He holds a B.A. from Sacramento State University and was the first undocumented student to graduate from the Helen Zell Writers Program at the University of Michigan. His work has appeared or is featured in The New York Times, The Paris Review, People Magazine, and PBS Newshour. He lives in Marysville, California where he teaches poetry to incarcerated youth and also teaches at the Ashland University Low-Res MFA program. Maya Khosla’s new poetry collection, All the Fires of Wind and Light, is co-winner of the 2017 Sixteen Rivers Press Poetry Competition, and is forthcoming in April 2019. Maya is Poet Laureate of Sonoma County. Her first book of poetry, Keel Bone, won the Dorothy Brunsman Poetry Prize and was published by Bear Star Press. Her chapbook, Heart of the Tearing, was published by Red Dust Press, while her writing has been featured in World Literature Today, Poem, Munyori Literary Journal, Nature Writing, and Flyway. She has read at the Watershed Environmental Poetry Festival, the Peace and Justice Center of Sonoma County, the Headlands Center for the Arts, and for the film Village of Dust, City of Water. Maya has taught writing workshops at Stanford Continuing Studies, Stanford Biology Department, and Mendocino Writers Workshop. A field-based biologist and a writer, her concerns for the natural world have led her through the wild, to the page and to the screen. Her first film, Searching for the Gold Spot is about the wilds of the American West after wildfire, and is being featured in festivals across the United States. She is currently working to assess the forests and rivers of California. Blas Falconer is the author of Forgive the Body This Failure (Four Way Books, 2018); The Foundling Wheel (Four Way Books, 2012); A Question of Gravity and Light (University of Arizona Press, 2007); and The Perfect Hour (Pleasure Boat Studio: A Literary Press, 2006). He is Poetry Editor at The Los Angeles Review and a co-editor for The Other Latin@: Writing Against a Singular Identity (University of Arizona Press, 2011) and Mentor & Muse: Essays from Poets to Poets (Southern Illinois University Press, 2010). He teaches in the MFA program at San Diego State University. Falconer’s awards include a 2011 National Endowment for the Arts Fellowship, the Maureen Egen Writers Exchange Award from Poets & Writers, a Tennessee Individual Artist Grant, the New Delta Review Eyster Prize for Poetry, and the Barthelme Fellowship. Born and raised in Virginia, Falconer earned an M.F.A. from the University of Maryland (1997) and a Ph.D. in Creative Writing and Literature from the University of Houston (2002). John Deaderick is an actor, director and playwright, with a special fondness for Beckett, Albee, Shakespeare and Euripides. He is a member of Screen Actors Guild – American Federation of Television and Radio Artists (SAG-AFTRA) and has been in over 200 plays, films and commercials. He has also acted and presented for radio – with KXPR in Sacramento and KVMR in Nevada City. John directed Nevada County Arts Council in the early 80s, and chaired the Drama Department at Colfax High School for many years. In 2017 he led a series of theatre workshops for incarcerated adults under Nevada County Arts Council’s new Acting Up pilot, and in partnership with California Lawyers for the Arts. He now teaches Acting and Theatre History at Sierra College in Rocklin and at Sierra College’s Grass Valley Campus – and, in his spare time, reviews National Theatre Live and The Metropolitan Opera Live at Sierra Cinemas. Lucille Lang Day’s most recent poetry collections include Becoming an Ancestor, The Curvature of Blue, and God of the Jellyfish (Cervena Barva Press, 2007, 2009 and 2015), Dreaming of Sunflowers: Museum Poems (Blue Light Press, 2015), The Book of Answers (Finishing Line Press, 2006), and Infinities (Cedar Hill Publications, 2002). She has been the recipient of the Joseph Henry Jackson Award in Literature. She is a coeditor of Red Indian Road West: Native American Poetry from California (Scarlet Tanager Books, 2016) and Fire and Rain: Ecopoetry of California (Scarlet Tanager Books, 2018). She received her M.A. in English and M.F.A. in creative writing from San Francisco State University, and her M.A. in zoology and Ph.D. in science/mathematics education from the University of California at Berkeley. The founder and director of Scarlet Tanager Books, she also served for seventeen years as director of the Hall of Health, a museum in Berkeley. She is of Wampanoag, British, and Swiss/German descent. Ruth Nolan, a former wildland firefighter for the Bureau of Land Management California Desert District and US Forest Service, is professor of English and creative writing at College of the Desert in Palm Desert, CA. California Desert cultures, history, environment and literatures intersect in her work. She was a finalist for the 2018 Hilary Gravendyk Prize for her most recent collection, Badwater. 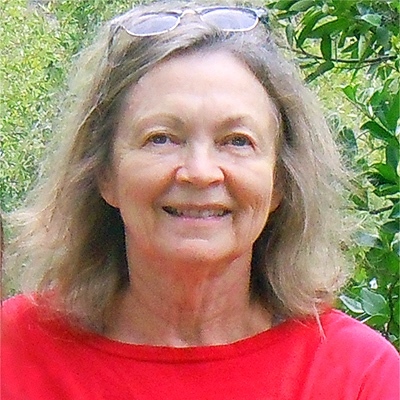 She is author of Ruby Mountain (Finishing Line Press, 2016); is recipient of a 2018 Love of Learning Award from the Phi Kappa Phi Honor Society for her forthcoming book Fire on the Mojave: Stories from the Deserts and Mountains of Inland Southern California, for which she also won a 2017 California Writers Residency Award. She is the editor of No Place for a Puritan: The Literature of California’s Deserts (Heyday Books 2009); and co-editor of Fire and Rain: Ecopoetry of California (Scarlet Tanager 2018). She has been published in KCET Artbound, Los Angeles; Women’s Studies Quarterly; Rattling Wall; The Cost of Paper; Angels Flight LA/Literary West; Desert Oracle; Cholla Needles; News from Native California; Sierra Club Desert Report; Pacific Review; The Desert Sun/USA Today andInlandia Literary Journeys. She serves on the advisory board for Poets & Writers West; co-founded the Inlandia Institute Writing Workshop in 2008 and has led writing workshops for Desert Institute at Joshua Tree National Park; the Palm Springs Writers Guild and the (In)Visible Memoir Project. She is a founding member and lecturer for the newly-formed California Indian Nations College. Lisa Dominguez Abraham's full-length poetry collection Coyote Logic was published by Blue Oak Press in February 2019. Previously, she won the 2016 Swan Scythe Chapbook Contest for Mata Hari Blows a Kiss, and both a Bazzanella and a Room of Her Own literary award from California State University, Sacramento. Her first chapbook, Low Notes, was published by Red Wing Press in 2007. Her poems have appeared in journals such as Southern Review, Prairie Schooner, North American Review, Poetry East, The Cumberland River Review, Tule Review and Mobius: The Journal of Social Change, among others. In Spring 2018, she was the featured writer in Suisun Valley Review. Pos Moua lives in Merced, California, with his wife and five children. He is a language arts teacher who has taught Hmong and English at Merced High School and Merced College for over 20 years. He is a member of Hmong American Writers’ Circle (HAWC). His first chapbook, Where The Torches are Burning (Swan Scythe Press, 2001) gives “an account of love and family and identity in the poet’s new land.” His poems have appeared in the anthologies Tilting the Continent: Southeast Asian American Writing (New Rivers Press, 2000) and How Do I Begin? : A Hmong American Literary Anthology (Heyday Books, 2011). His latest collection of poems is Karst Mountains Will Bloom (Blue Oak Press, 2019). Gail Rudd Entrekin is Poetry Editor of Hip Pocket Press and Editor of the online environmental literary magazine, Canary. She is Editor of the poetry anthology Yuba Flows and the poetry and short fiction anthology Sierra Songs & Descants: Poetry & Prose of the Sierra, and she has read recently at the Watershed Environmental Poetry Festival and at Dominican College Poetic Medicine Conference. Her poems have been widely published in anthologies and literary magazines, including Cimarron Review, Nimrod, New Ohio Review, and Southern Poetry Review, were finalists for the Pablo Neruda Prize in Poetry from Nimrod International Journal and won the Women’s National Book Association Award in 2016. Entrekin taught poetry and English literature at California colleges for 25 years and has taught workshops in numerous venues throughout Northern California. Her books of poetry include The Art of Healing (with Charles Entrekin); Rearrangement of the Invisible; Change (Will Do You Good), which was nominated for a Northern California Book Award; You Notice the Body; and John Danced. Molly Fisk is Poet Laureate of Nevada County and author of the poetry collections, The More Difficult Beauty and Listening to Winter, and the essay collections Houston, We Have a Possum; Using Your Turn Signal Promotes World Peace; and Blow-Drying a Chicken. Her radio commentary, “Observations from a Working Poet,” has aired weekly in the News Hour of KVMR-FM Nevada City, CA since 2005. Fisk has been awarded grants by the National Endowment for the Arts, the California Arts Council, and the Corporation for Public Broadcasting. She’s the Poet Laureate of KVMR and Hell’s Backbone Grill in Boulder, Utah, teaches writing to cancer patients, and works as a life coach in the Skills for Change tradition. During the 2018 Camp Fire in California, which devasted the city of Paradise, Molly’s poem, Particulate Matter, was published in Rattle and quickly went viral. Rooja Mohassessy is a poet and educator from Iran who has lived and worked in Europe, Asia and the United States. She is currently pursuing an MFA in poetry at Pacific University and compiling an Ekphrastic manuscript inspired by the art of her uncle, Bahman Mohasses, one of the most important Iranian Artists of the 20th Century. Her poetry has appeared or is forthcoming in The Woven Tale Press, The Bare Life Review, The Ekphrastic Review, Tuck Magazine, and Artemis Journal. Inherent in Mohassessy’s work are themes of exile and cultural divides, along with her experience as an immigrant child fleeing from a war-torn country. Karen A. Terrey earned her MFA in Creative Writing from Goddard College in 2007. She loves to collaborate with other artists and is currently working on projects with Sierra Poetry Festival, Surprise Valley Writers’ Conference, and Truckee Community Theater’s Ten-Minute Play Festival. Her poems have appeared in Rhino, Edge, West Trestle Review, Sierra Nevada Review, The Meadow, Squaw Valley Review and Puerto Del Sol, among others. Bite and Blood, a book of poetry published by Finishing Line Press, is available in local bookstores. As a builder of literary community, she is a writing coach and editor, offering workshops, manuscript review and coaching through her business Tangled Roots Writing. She’s taught writing at Sierra Nevada College, Lake Tahoe Community College, and Sierra College. To see her poems and info on other events and workshops check out her website at www.karenaterrey.blogspot.com. Conrad Cecil has lived in London, Paris, and, since 2016, in California. In France, he founded La Compagnie de la Tangente under the patronage of award-winning poet and playwright Roland Dubillard (Moliere 2011 award), and performed in French at the Avignon Festival and on the Champs Elysees, in collaboration with German filmmaker Werner Schroeter. Conrad can be seen in historical dramas and contemporary thrillers alongside Sophie Marceau, Liam Cunningham, Clémence Poésy, Johan Leysen and Moritz Bleibtreu. His book, L’anglais pour la diffusion international du spectacle, is in French and English and focuses on performing arts production, and he has prepared a fine press edition of Shakespeare's Sonnets with Petrarch Press. He divides his time between Los Angeles and the Sierra Foothills, running workshops on performing poetry at Beyond Baroque literary arts center in Venice, and coaching poetry for both Poetry Out Loud and Dream A Difference at Nevada County Arts Council. He has a master’s degree in Directing and Dramaturgy from the Royal Academy of Dramatic Art and King's College London. Susan Wooldridge presents writing and creativity workshops around the U.S. She’s in her sixteenth year of a series to foster creative expression among people of all ages and backgrounds in rural California libraries sponsored by Poets and Writers and the California Center for the Book. Susan helps people begin to begin to play with language and imagery. She encourages everyone to begin a journal and some of her workshops now include collage with found objects. Her workshops have been featured in Poets and Writers magazine, among others, and the San Francisco Chronicle says of her: “Wooldridge wants each of us to connect with our inner poet. She is savvy, optimistic, warm, unpretentious.”. Elisa Parker is a speaker, coalition builder, strategist and visionary for gender parity and social justice. She is the co-founder, president and host of the award-winning radio program and multimedia platform See Jane Do, co-founder of Indivisible Women, co-founder of 100 Women Change Hollywood: Partners in Parity and co-creator and co-director of 50 Women Can Change the World in Media & Entertainment. 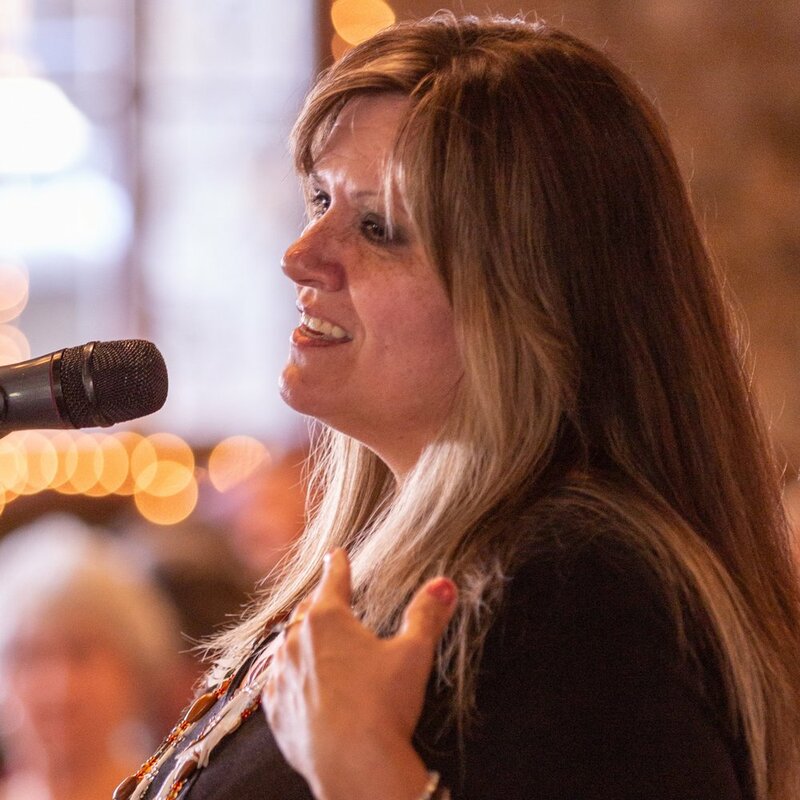 Elisa hosts a weekly show for nationally acclaimed radio station KVMR and is co-founder and director of the Passion into Action™ Women’s Conference, TEDxGrassValley, Raising Jane and the See Jane Do Media Lounge. She is an alumna of the Women’s Media Center Progressive Women’s Voices program, Take the Lead Women and The White House Project’s Go Run program. Elisa will be hosting our public Poets Media Lounge on the eve of our mainstage event. Join her alongside us at Nevada City Winery on Friday April 26 from 5-7pm. Shawn Odyssey is the critically acclaimed, Edgar and Agatha Award nominated author of The Oona Crate Mystery series. A featured performer at the first annual Sierra Poetry Festival, his written works have been translated around the world. Decades of performing live music as well as professional theatre have left him with an incurable passion for the dramatic, while his musical talents led him to compose music for film, video games, and TV, including HBO’s Deadwood. Judy Brackett Crowe’s stories and poems have appeared in numerous literary journals and anthologies. She has taught Creative Writing, English Literature, and Composition at Sierra College, in Grass Valley, California. She is a member of the Community of Writers at Squaw Valley. She believes that the right words in the right places are worth a thousand pictures, and, as other writers have said, she writes to discover what she thinks. Born in Nebraska, she has lived in the small town of Nevada City in California’s northern Sierra Nevada foothills for many years. She is married to photographer Gene Crowe, and they have 3 children and 4 grandchildren. Learn more at judybrackettcrowe.com. Kirsten Casey is a California Poet in the Schools, and creative writing teacher. Her first book of poetry, ExVivo: Out of the Living Body, was published by Hip Pocket Press in 2012 and a new collection of poems about historical characters struggling with modern technology is forthcoming. Kirsten is an artist in residence for Nevada County Arts Council’s Dream A Difference Program, a poetry project piloting in one of the smallest and most remote school districts in the United States - at Washington and Grizzly Hill Schools on the Western Slope of the Sierra. Dream A Difference connects small schools in the United Kingdom and United States with others in Syria, Jordan, Palestine, Malaysia and Zimbabwe. Students form part of an emerging global community of young people who are gaining awareness of, and learning empathy for, the way others live and, in the spirit of sharing the poetry they write in the form of song and recitation, sharing their own experience of life in rural California. Julie Valin’s poems have appeared in The Poeming Pigeon, Chiron Review, Red Fez, Rattlesnake Review, Primal Urge, and several anthologies and collections, including the Punk Rock Chapbook series by Epic Rites Press. She is an editor, book designer and self-publishing consultant for her business Self to Shelf Publishing Services, and a co-founder of the celebrated after-hours poetry press, Six Ft. Swells. She is a California Poet in the Schools band coach for Poetry Out Loud, and leads the much loved Poetry Crashers. Her book of poems, The Distance Between, was published by Six Ft. Swells. Maxima Khan is a writer of poetry, fiction and essays. She is a musician and dancer, a life coach and mentor. Her poems and essays have appeared in numerous literary journals, both online and in print. She has taught poetry and creative writing both privately and at the University of California, Davis, and worked as an editor and writing coach for writers of poetry, fiction, non-fiction and both stage and screen plays. Alex Henderson has been a member of the Poetry Crashers since its inception on 2015. Both a poet and visual artist, Alex is active in our local vocal arts community, and has performed and presented regularly at Ridgestock, Synthetic Unlimited, and Gold Lion Arts in Sacramento. Judie Rae holds a Master’s degree in Professional Writing from the University of Southern California. She is the author of four books for young people, including a Nancy Drew Mystery. She also authored a college thematic reader, Rites of Passage and a poetry chapbook The Weight of Roses, published by Finishing Line Press. Her essays have appeared in The Sacramento Bee, as well as on San Francisco’s NPR station KQED. She has also written for Outside California, Tahoe Quarterly, and Sacramento Magazine. After twenty-seven years of teaching college English, Judie now concentrates on writing articles and essays primarily related to life in the Sierra Foothills, where, when she’s not writing or gardening, she enjoys hiking the many trails around Nevada County. Rhi Jenerate (Jen Winders) grew up in New York, receiving a BA in Non-Violent Social Change & Conflict Resolution – in part to out-hippy the Journalism degree she also obtained. Charting an intriguing route to California, Rhi has written poetry across the country from the forests of Kentucky to the high deserts of Nevada, and eventually dealt with it all by obtaining her Masters in Social Work. Rhi worked in human services since the early 1990s, and these days offers a teen suicide prevention program in local high schools, while facilitating Mental Health First Aid and mentoring groups for teens. She writes country song lyrics, children’s books and poetry, and is a long-standing member of the locally celebrated Poetry Crashers. Shellee Ann Sepko, poet and psychotherapist, is an advocate of poetry as a practice that illuminates and restores. Shellee is a Poetry Crasher and founder of Mimesis - a Nevada City production group based on the principles of providing accessible, experimental and edgy performance art in a small rural town. In 2000, Shellee earned her MA in Depth Psychotherapy at Pacifica Graduate Institute, promoting the use of poetry to help identify and express the deeper truths that are easily lost in a distracted world. Ingrid Keriotis’ first book of poetry, It Started with the Wild Horses, is forthcoming in April from Finishing Line Press. Her poems are also included in the anthology More Than Soil, More Than Sky. In poetry, she believes in Richard Hugo’s advice: “You owe reality nothing and the truth about your feelings everything.” Ingrid lives in the Sierra Nevada foothills and teaches writing to community college students. Sierra Poetry Festival welcomes the Northern California-based world music jazz group Tumble. Tumble is a collective that includes Robert Heirendt on the Zimbabwean instrument the mbira, Sean Kerrigan on guitar, and Randy McKean on tenor saxophone and clarinets. The trio plays intricate, trance-like compositions that combine folkish melodies and driving rhythms with an improvisational jazz sensibility. Shelly Covert is Spokesperson for the Nevada City Rancheria Nisenan Tribe and sits on its Tribal Council. She is also Executive Director of the California Heritage: Indigenous Research Project, whose mission is to preserve, protect and perpetuate our Nisenan Culture. The Nevada City Rancheria Nisenan Tribal homelands lay within the Bear and Yuba River watersheds and its Tribsepeople have nurtured these lands for thousands of years. Shelly is a singer / songwriter, artist and tradition keeper, and works with environmental and social justice causes, advocating her people and for the restoration of their Federal recognition and Tribal sovereignty. Shelly joins us as a welcome reminder of the wealth of truths and traditions her culture holds as we celebrate our California Cultural Districts within Nevada County. Alice Anderson is the author of the 2017 national bestselling memoir, Some Bright Morning, I’ll Fly Away from St. Martin’s Press. Her poetry collection, The Watermark, was published in the UK and US simultaneously from Eyewear Publishing. Her first collection of poems, Human Nature, was awarded both the Best First Book Prize from the Great Lakes Colleges Association and the Elmer Holmes Bobst Prize from NYU. Anderson has also appeared in The Rumpus, Goodhousekeeping, Literary Hub, Poem of the Week, The Manifest-Station, Electric Lit, New Letters, CUTTHROAT, The New York Quarterly, Tupelo Quarterly, AGNI, and more. Her work is anthologized in On The Verge: Emerging Poets and Artists in America; and American Poetry, The Next Generation. A New York Times bestselling ghostwriter, Anderson is also a former executive for a major book retailer and former acquisitions editor at Random House. While at Random House, she shepherded books in the memoir, nonfiction, business, entertainment genres. She has been a visiting professor at St. Mary’s College, Kenyon College, Oberlin College, DePauw University, Hope College, and Antioch University and more. We regret that Alice Anderson is no longer able to join this year's Sierra Poetry Festival.